You can legally buy it. You can legally use it. And no prescription is required. But don’t be confused. Hemp CBD oil is not the same thing as medical marijuana. Still, it’s an extremely close cousin. You see, hemp and marijuana are both varieties of the same plant… but with one HUGE difference. The THC in marijuana will get you high. Hemp, on the other hand, contains extremely low levels of THC. You can’t get “stoned” on it. Yet, until last month, both were classified as Schedule 1 controlled substances – drugs that have no accepted medical use and a high potential for abuse. This is the same category as cocaine, heroin and LSD. Well, this is sheer craziness! 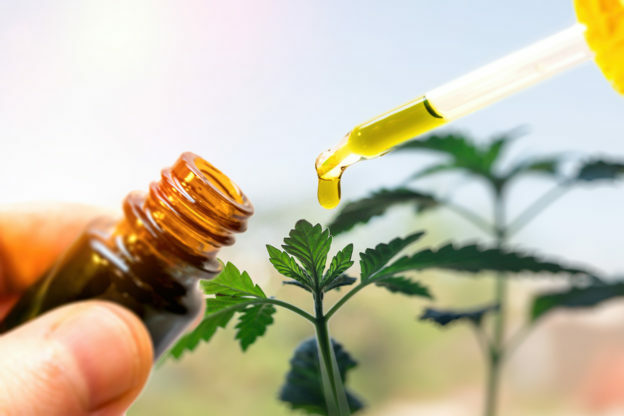 Thankfully the Government finally came to their senses and removed hemp-derived CBD oil from the list of controlled substances in December 2018. And this is great news for you. That’s because the cannabinoids in CBD oil from hemp provide similar health benefits attributed to those found in medical marijuana. In fact, before the U.S. illegalization of cannabis in 1937, the plant was used medicinally for thousands and thousands of years. And here in the U.S. it was actually a patented medicine for quite some time. It was even listed in the United States Pharmacopoeia from about 1850 to 1937. This is a publication that contains legally recognized standards for drug substances. In it, extract of hemp was described as a recommended treatment for all sorts of health issues. This included things like nerve pain, gout, neurological issues, depression, convulsive disorders, opiate addiction and alcoholism. And much of the recent research on CBD supports many of these uses. Extinguish pain. One place where cannabinoids really shine is when it comes relieving chronic pain. The analgesic effect is so potent it even tackles unexplained nerve pain and the anguishing pain associated with multiple sclerosis. MS patients who take CBD oil experience less muscle stiffness, greater walking skills, reduced muscle spasms and lower levels of pain. Plus, it helps prevent sleep disturbances. If it can do all of that for pain associated with chronic disorders, just imagine what it can do for you. Reduce anxiety. Cannabinoids also work extremely well to douse feelings of stress and anxiousness. They appear to change the way certain areas of the brain responds to anxiety. This, in turn, helps reduce the panicky feelings associated with anxiety disorders, panic disorder, obsessive–compulsive disorder and even post-traumatic stress disorder. Protect against seizures. Probably one of the most widely recognized use of CBD is for the treatment of seizures in people with epilepsy. In fact, even Big Pharma has gotten onboard this boat. They’re already developing prescription CBD products like Epidiolex, which the FDA approved for the treatment of seizures in July 2018. Relieve chemotherapy-induced nausea. Pharmaceutical companies have also taken a dive into synthetic cannabinoid drugs for treating chemotherapy-induced nausea and vomiting. However, a 2018 analysis finds that these synthetic drugs are much more potent – and dangerous – than natural cannabinoids. In particular, some of the adverse side effects include breathing problems, respiratory difficulties, high blood pressure, rapid heart beat and chest pain. These drugs also have a negative effect on your mental state. They can cause you to feel anxious and agitated. You could even experience psychosis, suicidal ideation and cognitive impairment. These are just a few of the most researched areas of cannabinoid use. But that doesn’t mean there aren’t other areas where CBD oil may be a blessing. 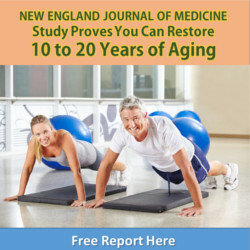 Evidence indicates cannabinoids may also be effective in treating many other health disorders including Alzheimer’s disease, Parkinson’s, Huntington’s, cardiovascular disease, Crohn’s disease and cancer. Now that hemp-derived CBD oil is legal and researchers can lawfully get their hands on it, universities and medical schools will be jumping at the chance to dig into its medical uses. So chances are good we’ll be hearing a lot more good news about it in the near future. Stay tuned! Lynch ME, et al. Cannabinoids for the Treatment of Chronic Non-Cancer Pain: An Updated Systematic Review of Randomized Controlled Trials. J Neuroimmune Pharmacol. 2015 Jun;10(2):293-301. Rog DJ, et al. Randomized, controlled trial of cannabis-based medicine in central pain in multiple sclerosis. Neurology. 2005 Sep 27;65(6):812-9. Blessing EM, et al. Cannabidiol as a Potential Treatment for Anxiety Disorders. Neurotherapeutics. 2015 Oct; 12(4): 825–836. Crippa JA, et al. Neural basis of anxiolytic effects of cannabidiol (CBD) in generalized social anxiety disorder: a preliminary report. J Psychopharmacol. 2011 Jan;25(1):121-30. Cohen K, et al. Synthetic and Non-synthetic Cannabinoid Drugs and Their Adverse Effects-A Review From Public Health Prospective. Front Public Health. 2018; 6: 162. Pisanti S, et al. Cannabidiol: State of the art and new challenges for therapeutic applications. Pharmacol Ther. 2017 Jul;175:133-150.